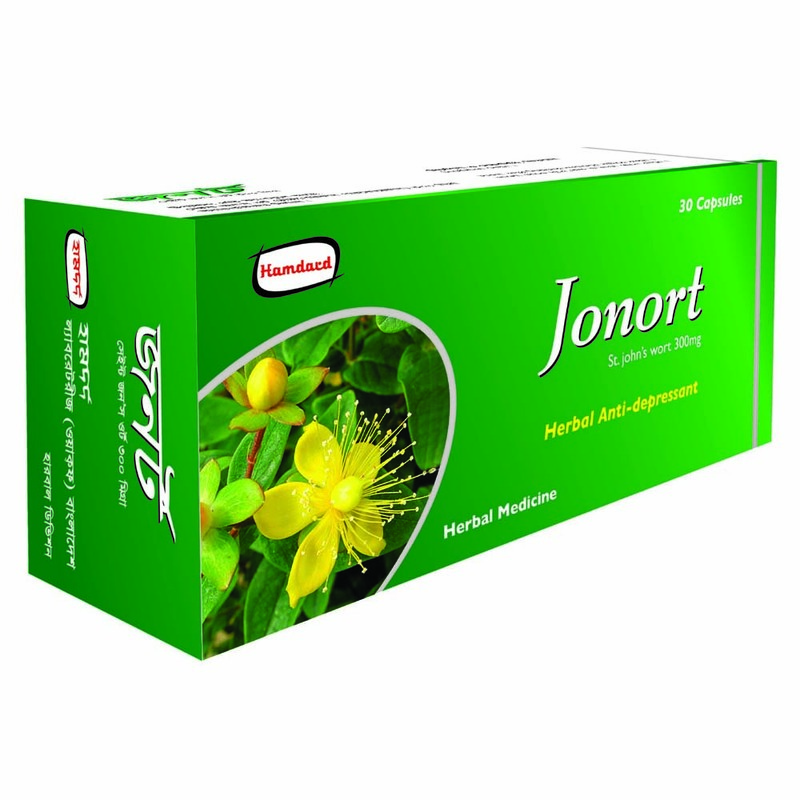 Description: Jonort is a unique preparation of standardized extract of St. john’s Wort, which is widely used as effective herbal medicine in the treatment of depression. The major active constituents of St. john’s Wort are hypericin, hyperforin, hyperoside, quercitrin and rich in vitamin C. Jonort possesses antidepressant activity which inhibits re-uptake of neurotransmitters such as serotonin, dopamine, noradrenaline, γ-aminobutyric acid (GABA) and L-glutamate. It has also inhibiting activity of Monoamine oxidase (MAO) and Catechol-O-methyltransferase (COMT). Dosage & Administration: 1 capsule 3 times daily or as prescribed by the physician. Side effect: No significant side effect has been observed in therapeutic dosage. There have been rare reports of dizziness, nausea and dry mouth from its use. Contraindication: St. John’s Wort is contraindicated in case of hypersensitivity to the plant. Precautions: Jonort should not be administered during pregnancy, lactating mother and children without medical supervision. Each capsule contains standardized extract of St. John’s Wort (Hypericum perforatum) 300mg.